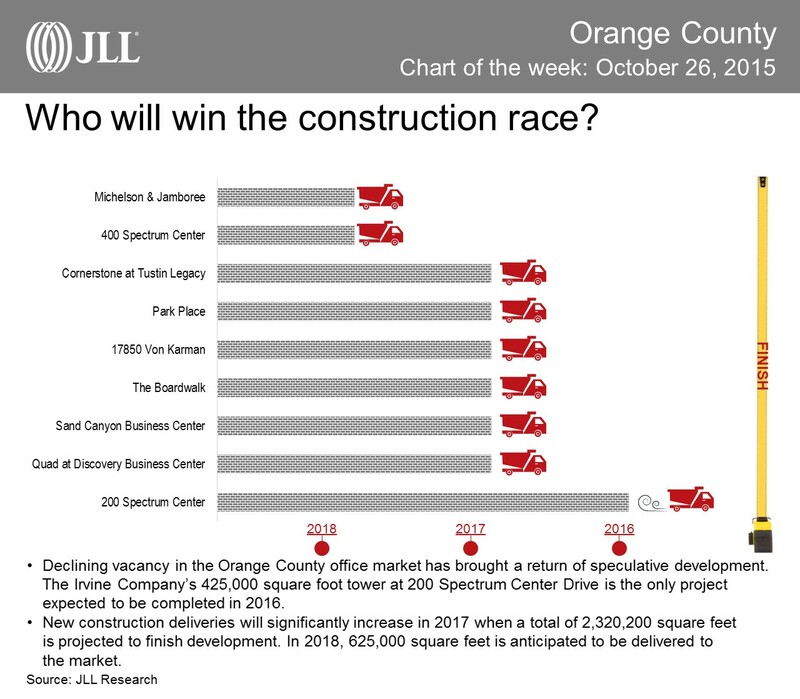 Categories: Chart of the week, JLL, Orange County, Research and tagged chart of the week, construction, JLL, office, research, Spectrum. Categories: JLL, Office, Orange County and tagged Airport Area, construction, CRE, GlobeSt.com, Jeff Ingham, JLL, market, Orange County. 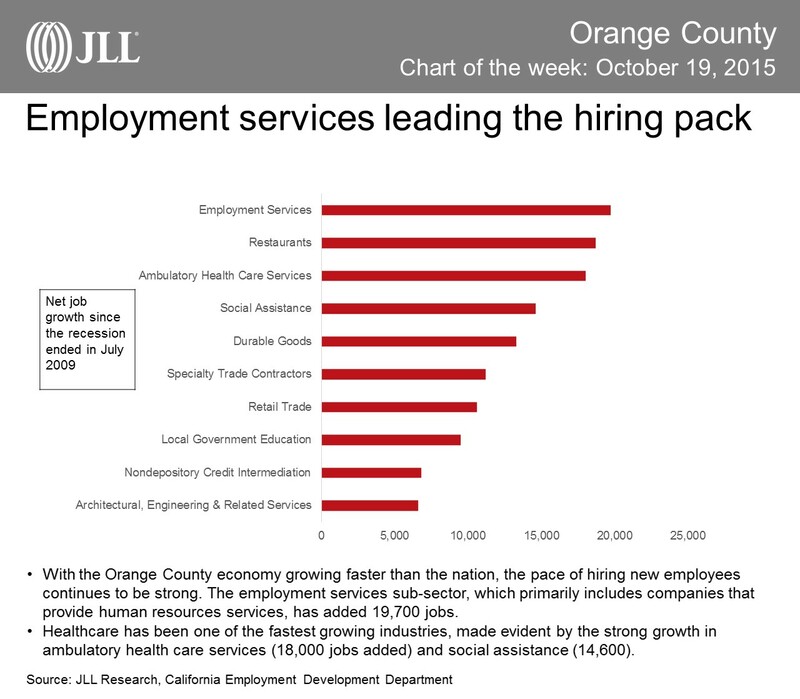 Categories: Chart of the week, JLL, Orange County, Research and tagged chart of the week, employment, growth, JLL, Orange County, research. Does ‘big-box’ leasing sometimes create statistical anomalies? JLL’s Les Boudwin coined the term ‘surge-demand’ when Amazon took occupancy of a 1.0-million-square-foot facility in Dupont, WA in the fall of 2013. Buildings of this size are rare in greater Seattle, and this one deal comprised nearly a quarter of the market’s net absorption that year. Categories: Industrial, JLL, Research and tagged big box, demand, industrial, Industrial Impact series, JLL, leasing, surge.